We provide high-quality Cognitive Behavioural Therapy in London, Kent, Surrey and Sussex. Our CBT specialists are at the top of their profession and have achieved expert recognition in Cognitive Behavioural Therapy. This means that you can book an affordable CBT appointment in the knowledge that you are working with a properly qualified, experienced and BABCP accredited specialist. To find out more, call 01732 808 626 or book an appointment here. We operate as a commercially ethical psychological service provider. 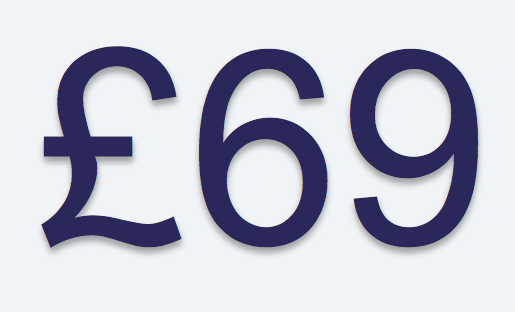 This means that we only charge £69 for an appointment with a BABCP accredited CBT specialist. Unlike many other independent Cognitive Behavioural Therapy providers, the money you pay goes directly to your therapist without sub-contracting or agency commission. If you can find equivalent CBT services for less, we would like to hear from you. Appointments with properly qualified and BABCP accredited CBT specialists. Expert support for a wide range of psychological and emotional problems. immediate response with no waiting lists or unnecessary paperwork. A free initial telephone consultation to discuss your needs before starting. Free psychological assessments with a personalised assessment report. Email and telephone support throughout the process. Access to leading edge techniques from the latest CBT research. A free copy of the 32-page Think CBT Workbook to provide support throughout the process. Follow-up calls, emails and booster sessions following the completion of therapy. We have over forty Cognitive Behavioural Therapists covering London, Sevenoaks, West Malling, Tonbridge, Tunbridge Wells, Canterbury, Guildford, Godalming and Brighton / Eastbourne. Building on their core psychological training, our Therapists are qualified to a post-graduate / Masters / Doctoral level and have achieved full BABCP accreditation. In addition to their mainstream CBT training, our Therapists are also trained in a number of “third-wave" CBT models including Acceptance and Commitment Therapy (ACT), Compassion Focused Therapy (CFT), Dialectical Behaviour Therapy (DBT) and Mindfulness Based Cognitive Therapy. You can find out more about our therapists; their specialisms, qualifications and experience by following this link. We also provide online Cognitive Behavioural Therapy via SKYPE, WebEx or V-See. This means that you can connect with your therapist via secure video link using any computer or electronic device. As well as a more cost-effective option at just £59 per session, you can undertake CBT from the comfort of your own home or office. No waiting rooms, travel time or childcare cover required. The research evidence shows that online Cognitive Behavioural Therapy is an effective alternative to face-to-face therapy. You can work via video link with your therapist and we can share CBT material on-screen whilst the session is underway. Online CBT provides a modern, confidential, cost effective and flexible approach to therapy. You can now work with a CBT expert from any location with an internet connection. 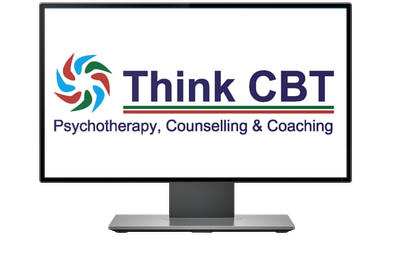 To find out about any of our services or to book an initial telephone consultation, call 01732 808 626, complete the appointment form or email us at appointments@thinkcbt.com.